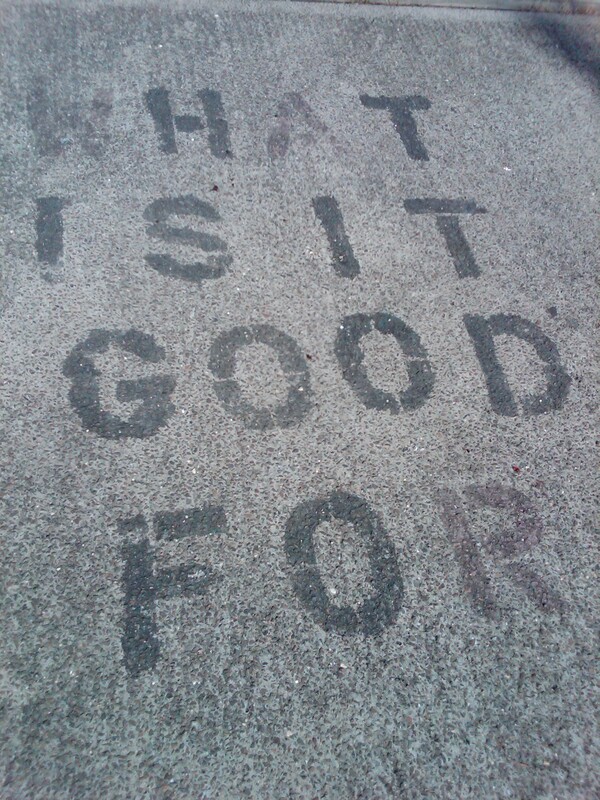 This entry was posted in Photos and tagged Boston, BU Sailing pavilion, charles river, graffiti. On my usual weekend adventure, I discovered something that I should have concluded a long time ago. I was sitting on a bench after a nice walk along the Charles River this weekend enjoying the beautiful weather and some time alone. It’s a great place to gather your thoughts and come to a conclusion or two about your life (if you let it happen). I sat for a while watching various couplings of people boating by. Some where in single person kayaks, others were in small speed boats, and then there were a few in canoes. One particular family of 5 (two little ones included) in one canoe struggled for 5 or more minutes to coordinate their efforts to move. Just move. What neither of them realized was that none of their paddles where in the water. They were going nowhere fast. What I realized is: there are some moments in life when you have [the people], the boat, the paddle, and the water; but the paddle’s not in the water, so you’re not going anywhere. How many times have we felt like we have all the necessary tools in life but we’re just not getting anywhere? Let’s make moves people! If you’ve got all the necessary tools at your disposal. What are you waiting for? This entry was posted in Doodles and tagged adventure, Boston, charles river, journey, meander, personal relization.